The local production of “He Said She Said” will play tonight in a double header at Theatre 44. The night will commence at 7pm with a children’s play “Eggheads” by Jimmy Brunelle. “He Said She Said”, which is a play by playwright Alice Gerstenberg and is being directed by Corey Page, will follow. The play is set in a small town and is about four people whose lives are affected by gossip. Tickets are reasonably priced at $8 for adults and $5 for a child to attend both shows. The money raised will be used to produce further plays at the theatre. 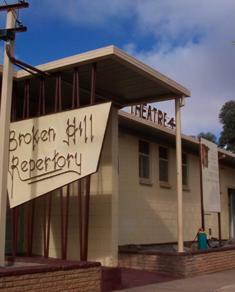 Theatre 44 was built in 1963 with the help of local mining companies and it has become the home of both musical theatre and drama. It sounds like a fun night suited to a range of younger folk in particular. Feel free to give a review of either or both shows right here as a comment.